I think llamas are such fun animals! Amusing to draw with interesting long lines and forms. I think I will be drawing more of them for these daily sketches, perhaps I can get into some cartooning too! 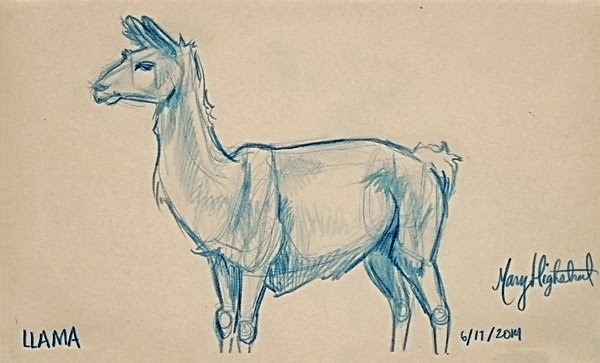 Also thanks to David Coleman, my animal drawing teacher from my time spent in LA (I had such a hard time understanding these concepts then, I'm finally starting to get it now!) & Peter Han for his Dynamic Sketching classes!